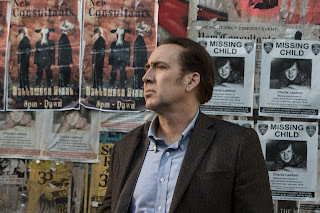 To celebrate the release of Pay The Ghost, available now on DVD, Blu-ray and digital download, we have an iTunes digital download code available to giveaway courtesy of Arrow Films. 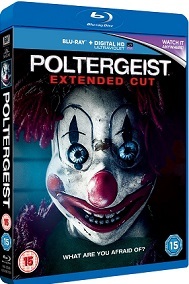 Poltergeist is out on DVD & /Bluray right now! and to celebrate we have a great competition for you and 3 copies to win. 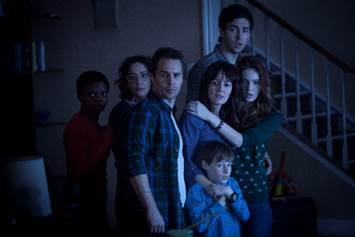 Legendary filmmaker Sam Raimi (Spiderman, Evil Dead, The Grudge) and director Gil Kenan (Monster House) contemporise the classic tale about a family whose suburban home is haunted by evil forces. When the terrifying apparitions escalate their attacks and hold the youngest daughter captive, the family must come together to rescue her before she disappears forever. From scores to special effects, from Halloween stalkers to Star Trek, Alan Howarth’s electronic imagination has contributed to some of the biggest genre films of the ‘80s. Alternately wearing the hats of both composer and sound effects man, Howarth has collaborated with John Carpenter with the music on nearly all of his movies starting with ESCAPE FROM NEW YORK; he’s provided sound design and effects for POLTERGEIST, RAIDERS OF THE LOST ARK, all of the STAR TREK movies, THE HUNT FOR RED OCTOBER, Coppola’s DRACULA, TOTAL RECALL, and STARGATE, among others. As a composer, he’s scored all or part of the HALLOWEEN films. His latest film score is music for the terrifying horror film BRUTAL. On a personal note, I’ve been a lifelong fan of Alan’s work. When I was 15, my cousin Erik and my friend Ron and I went to see HALLOWEEN 3: SEASON OF THE WITCH. We were all too young to see an R rated movie but we got in anyway. The movie changed my life. Although many critics panned the Halloween movie without Michael Myers, we loved it. One thing that was not criticized was the brilliant score by Carpenter and Howarth. I’ve listened to that soundtrack more times than I can count. It’s been the music that has inspired me to write short stories and eventually novels. A few years ago at the Monster Mania convention, I had the thrilling experience of meeting John Carpenter. I had him sign a copy of my first novel DARK FICTION. He congratulated me on writing my first novel. 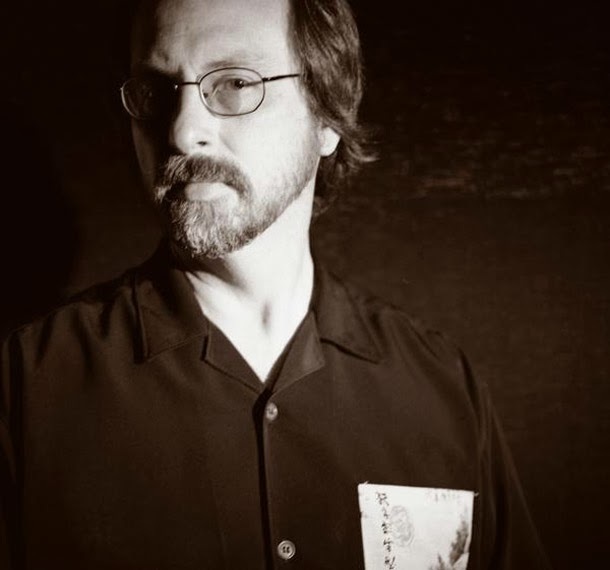 Now I’ve had the honor of interviewing Alan Howarth who generously took time out of his very busy schedule to talk to Masters of Horror U.K.. Alan, I deeply appreciate all of the time you took for us. Happy Halloween! Tell us how you became involved in movie music? My first outing in film was with sound for my wife’s student film at the UCLA extension in 1979. She needed a soundtrack and I decided to make it for her show. 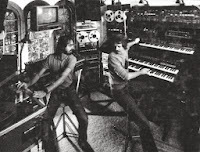 At the time I was working with a jazz band, Weather Report, as the synth tech for the keyboard player Joe Zawinul. I was familiar with the recording studio and applied that to the soundtrack, writing music and recording sound effects. This led to a recommendation to the sound team for Star Trek, the motion picture. 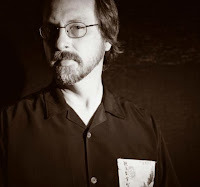 The Star Trek film editor, Todd Ramsay’s next project was “ Escape From New York”. He introduced me to John Carpenter. John agreed to work at my home studio to create the score for the Escape. I just followed my instincts and took direction from Carpenter as to what he wanted for his film and added the entire latest tech to the soundtrack. 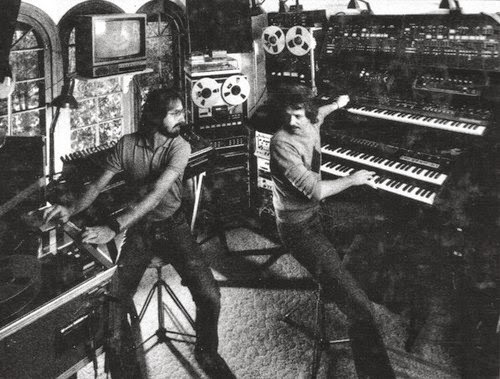 We went on to making soundtracks together throughout the 80’s. I also made several solo soundtracks during that time. How many film soundtracks have you recorded? I have created the film music so about 30 films. I have created sound design for 100’s, many huge blockbuster series Star Trek 1-6, back to the Future 2-3,and for The Hunt for Red October and Coppola’s Dracula, our team got Oscars for the best sound effects those years. Tell us about your work with John Carpenter. My first outing with Carpenter was the score to Escape from New York, I worked on Halloween 2-6, Christine, Big Trouble in Little China, Prince of Darkness, They Live and a little on The Thing. It was always a memorable and creative experience. 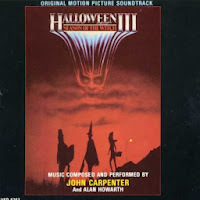 It was John Carpenter’s film, so he gave the musical direction we went in and often came to the session with themes that he had created for the shows. I had the studio and all the synth gear and my first responsibility was to keep is all running and in tune. We recorded to analog 24 track tape and I introduced the idea of running video tape synchronizes to the 24 track recorder for the scoring process. Carpenter loved the idea and called it an electronic coloring book. The score were improvised as they were created and the scoring was done in a linear fashion, from start to finish. I also brought in the first Linn drum LM-1 as a drum machine and used it to drive the analogue sequencers that we used to create the electronic music repeating patterns. I always brought in the latest technology to each new score and found this challenging, very rewarding and inspirational. 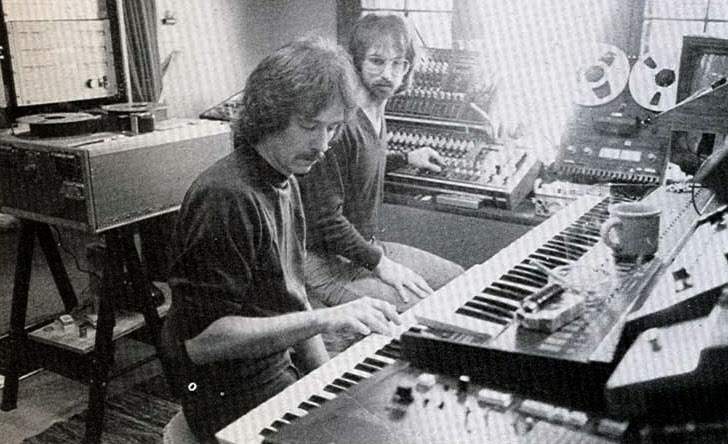 Our scores grew in sonic complexity with both the evolving analog keyboards and also the emergence of digital sampling, midi and computer sequencers. Please tell us what it was like to learn your craft when you were younger. When I was in grade school, I was focused on art. I wanted to be a visual artist and showed lots of talent in my ability to draw, paint, and sculpt materials. My father had an accordion up in the attic that I dragged down and fooled with since I was 5. Music was a hobby and just something to fool around with, I played saxophone in the high school band. I planned to be a great painter of something like that. In high school, I was the president of the art club and one day one of my classmates asked if I was interested in sitting in with he boyfriend’ band at a sock hop at a local high school. I played dance music from charts that night and at the end, he handed me 80 dollars, well, that was all it took to have me jump head on into music. I got a bass guitar and started playing in local rock bands on the west side of Cleveland. The bands grew in popularity and eventually we made some records and were opening for bands like the Cream on the “Wheels of Fire” tour. And The Who on the “Tommy” tour in 1971. I later took to musical instrument and sound recording business with a retail music store called PI Keyboards and audio with partner David Yost. I continued to writs music and had bands called “Braino” and Pi Corp that continued play in clubs and to record in studios the to 1976. In that year I want on the road with Weather Report and traveled all over the world with them. Little did I know that this was to prepare for the film music and sound business? Do you enjoy creating the terrifying music of horror movie soundtracks? 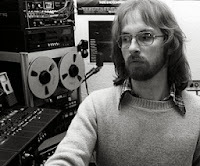 When it came to making music for films, I drew from my favorite rock bands like Pink Floyd, Tangerine Dream, Genesis; I also looked to the Avant-garde composers like Stockhausen, Carlos, and Penderecki. I always enjoyed strange sound textures, and unusual sound juxtaposition. 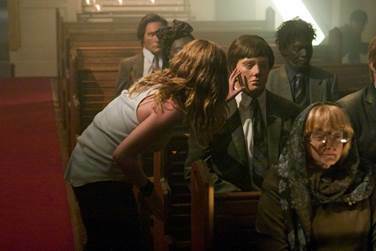 The best soundtracks for horror films are simple use of sounds, themes and silence. Quite passages leading up to loud dissonant musical textures the have you jump in your seat. How do you enjoy doing special sound effects for movies? Are there significant differences between working on your own projects and working for other filmmakers? I love to work with other filmmakers and collaborate on music and sound designs. The project itself dictates the content and frames what we will do for it. I have actually been going out to play live concerts of the music I created with Carpenter as well as my own film music. When working on my own projects, it is most exciting to make projects that are pioneering challenges, you know, like being the first guy to try this or that way of doing things. Well, one of the greatest accomplishments is to look back over the years and still have musicians and filmmakers come up and recognize the work I have creates. Like the soundtrack to Halloween III. 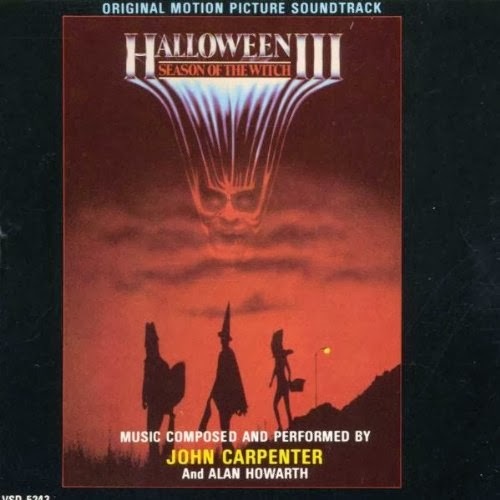 The opening music is called “Chariots of Pumpkins’ although the film was not successful, the soundtrack still outshine the film 30 years later. Other great soundtracks are to Big Trouble in Little China and Prince of Darkness. Recently I have created soundtracks to some pioneering younger filmmakers like a film called ‘Brutal” and won 3 awards for the best soundtrack at festivals. How do you come up with the original themes you create? Halloween 3: Season of the Witch certainly comes to mind. Well, back to Halloween III. The theme to the opening scene was created on the ARP 16 channel analog sequencer. I dialed up the notes and we recorded it in several passes to tape. I played the melodic lead and Carpenter played several of the textured elements and then went on to improvise the tracks through out the film, one at a time. I would have to re-listen to the tracks to make a scene-by-scene narrative, but it sure was fun. Classics like Frankenstein, Dracula, Dante’s Inferno, Cujo, Interview with the Vampire. 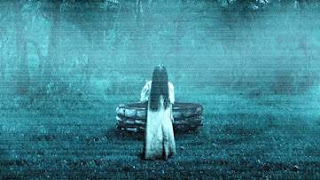 Psycho, Halloween series, Poltergeist, Dracula, More recent shows are 30 nights, Evil Dead, Hell Boy, The Ring, Dark Night. I also thought The Lovely Bones was fantastic. Why do you think older low budget horror films remain popular? 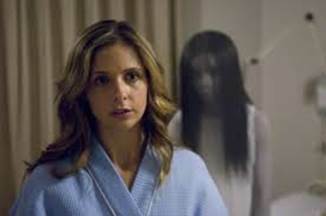 Low budget horror hold up because the filmmakers were forced to make shots that did not have elaborate special effects. Often the horror is unseen by cutting the face in horror versus the knife going in and spurting blood. 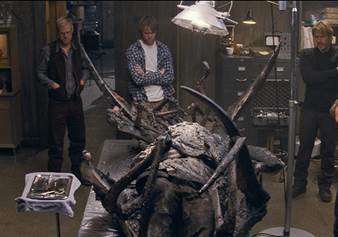 Practical effects vs. CGI or just using old school filmmaking. 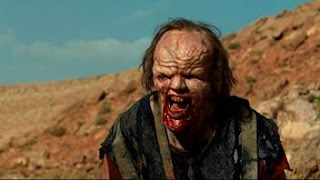 My latest Projects are films titled Brutal, House at the End of the Drive and next month, Zombie Night on SCFI channel. I am playing live shows in October in Atlanta, Ashville at the Mountain Oasis Festival, Brooklyn NY on Halloween and future shows on Chicago, Austin TX and Vancouver. Well, looking back and then forward, it has been a great career run, from Star Trek and Halloween to monsters and ghosts, time warps and planet explosions. 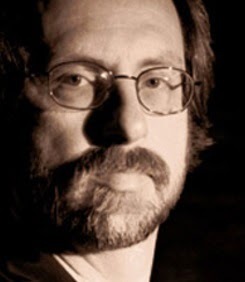 Go to www.Alanhowarth.com for more history and coming projects. I look forward to the future revealing more than we can possibly imagine from where we stand now. I have several pioneering projects in natural music and realistic voice synthesis. I plan also want to collaborate with popular DJ who wants to work with me on new version of many of my themes using modern beats. In addition, I am slated to produce and direct an animated feature series and continue on for decades to come. Director Johnny Kevorkian said today: "I'm so pleased to be working with the super talented Sam Gittins and Neerja Naik, who are bringing such intensity to every scene. We're half way through the shoot and things will only get more extreme from here. I can't wait to push their characters even further as the spectacular reality of their confinement is finally revealed!" Currently shooting at GSP Studios in York, the story revolves around the Milgram family, who have gathered to celebrate Christmas, only to find a mysterious black substance has surrounded their house. Something monumental is clearly happening right outside their door, but what exactly - an industrial accident, a terrorist attack, nuclear war? Descending into terrified arguments, they turn on the television, desperate for any information. On screen a message glows ominously: 'Stay Indoors and Await Further Instructions”…. 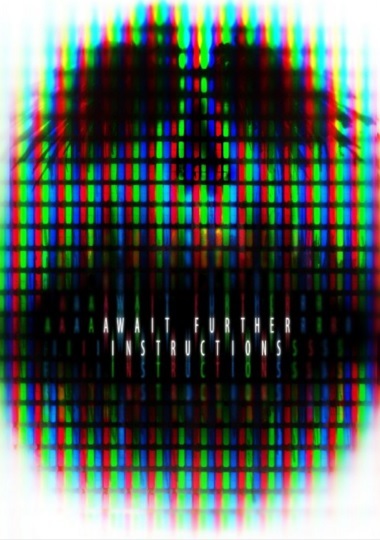 AWAIT FURTHER INSTRUCTIONS is produced by Jack Tarling of Shudder Films and Alan Latham of GSP Studios and directed by Johnny Kevorkian (The Disappeared) from a screenplay by Gavin Williams, the cast includes David Bradley (Games of Thrones), Sam Gittins (The Smoke), Holly Weston (Howl), Kris Saddler (The Hour), Neerja Naik (Hackney’s Finest) & Grant Masters (Silent Witness). Key crew members include: Annika Summerson (DOP), Nina Topp (Production Designer), Dan Martin (Special Effects) & Ben Louden (VFX). Neerja Naik plays Annji, a trainee paramedic who is in for the fight of her life in a darkly monstrous tale of tyranny and television. 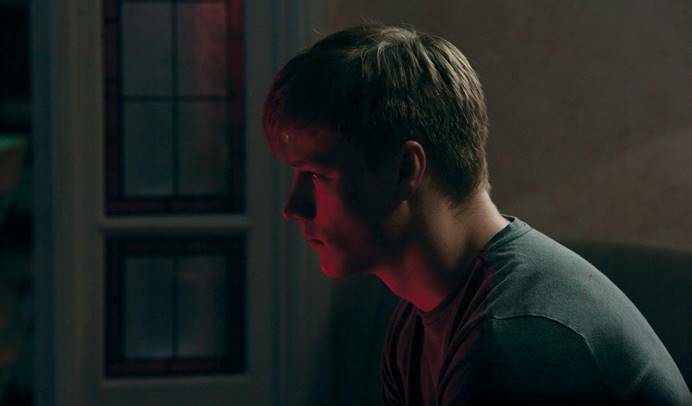 Sam Gittens plays Nick, who brings his girlfriend Annji into the family house from hell, where the television exerts a sinister grip, leading to paranoia and bloody carnage. During the demonstration of a groundbreaking device which allows the observation of alternate dimensions, the machine malfunctions and transports the building and its occupants - into a nightmarish new dimension. 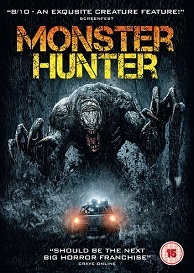 Now, in order to get back to where they belong, the team must use ingenuity and courage to outwit, outplay and outlast the native man-eating creatures of this bizarre new world while doing their best to repair the damaged machine. This title will be released on October 26, 2015. 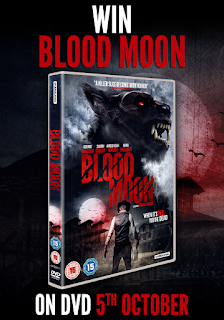 Win a copy of Blood Moon on DVD! It’s cowboys vs the wolfman in this bloody horror-western. Re-imaging the werewolf as the Native Americans’ mythical “skinwalker”, the film sees a stagecoach of passengers, gunslingers and outlaws terrorized by the bloodthirsty beast. With a great cast, fun prosthetic effects, it’s a true horror and weird western gem. 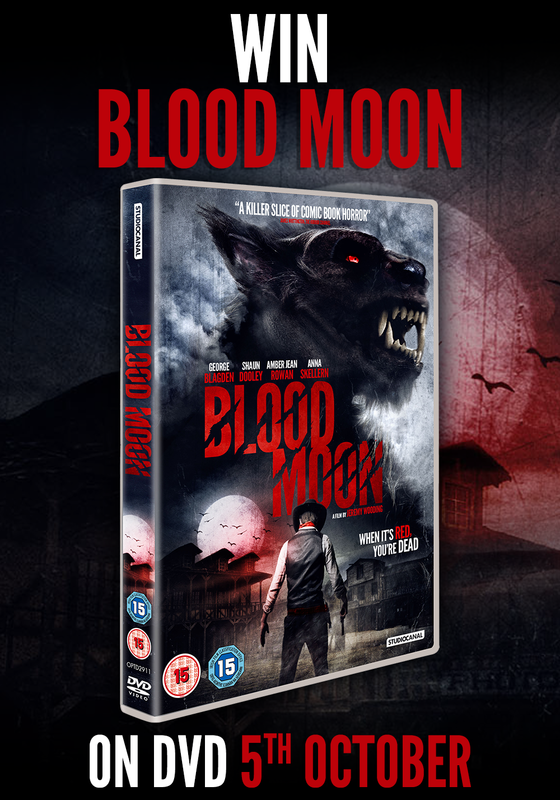 Blood Moon is out on DVD from 5th October 2015. From director Robert Conway (The Encounter) comes the most frightening film of the festive season. 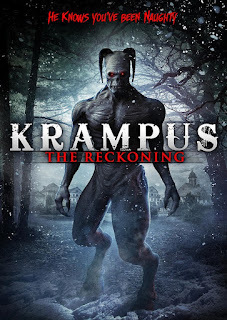 Meet Santa’s dark companion in Krampus: The Reckoning, gift-wrapped with fear this November 3 from Uncork’d Entertainment. Zoe is a strange little girl, with a not so imaginary friend the Krampus who is the dark companion of kindly old St. Nicholas. The Krampus has been unleashed upon a small town and the legendary demon will seek out all the naughty people to punish them at Christmas time. No one is safe as the Krampus hunts them down, tortures them and then drags their helpless souls to the depths of hell. Krampus : The Reckoning is out on DVD and Digital November 3. A totally shocking threequel, a haunted house of horrors, demonic possession, claustrophobic tank terror, a head-spinning brutal thriller and a surprise movie…it can only be the Film4 FrightFest Halloween event, which is back at the Prince Charles Cinema on Saturday 24 Oct with six brand new movies, including two World premieres, a European and two UK premieres. This year’s Shockathon kicks off at 11am with the surprise movies which guarantees a sci-fi cocktail of weird creatures, crude humour and hilarious action. Next up is the UK Premiere of THE VATICAN TAPES, a dynamic, unusual and thrilling exorcism shocker by Crank director Mark Neveldine. This is followed by the World Premiere of THE UNSPOKEN, a chill-orientated sinister ghost story with an insidious sting in its tale. Kicking of the evening with a massive jolt of brutal energy is the UK premiere of MOMENTUM, a break-neck, nerve-shredding violent thriller starring a stand-out Olga Kurylenko & James Purefoy. Our second World Premiere is BELLY OF THE BULLDOG, directed by Nick Gillespie, whose past short films have been shown at FrightFest to great acclaim. We are delighted to welcome him back for his feature genre debut. To complete the line-up prepare yourselves for twists galore, horrific jolts and seat-edged suspense with the European Premiere of I SPIT ON YOUR GRAVE III: VENGEANCE IS MINE, which whole-heartedly retains the stunning shock impact of the entire controversial series. 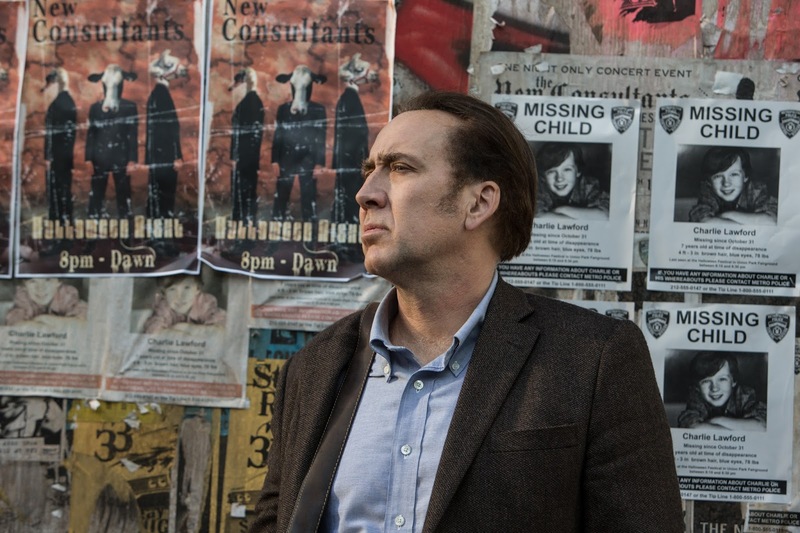 A concerned priest, two Vatican exorcists and the distraught father of a young girl battle to save her soul after she expresses increasingly erratic and strange behaviour. It soon becomes clear that Angela has been taken over by an ancient satanic force and that she must be quickly purged of evil. But what nobody knows is that the spiritual crusade is not just for Angela - it’s for the entire world as humanity knows it. In 1997 the close-knit Anderson family vanished from their home without a trace. No bodies were ever found and no explanation satisfied curiosity. For 17 years the house has remained undisturbed...until now. This eerily expert frightener is further enlivened by terrific performances from ‘Suits’/’Arrow’ star Neal McDonough and SILENT HILL/THE TALL MAN/TIDELAND’s Jodelle Ferland. Metal Hurlant: Resurgence is a must see for science-fiction and fantasy fans – a gripping adventure that spans time and space! 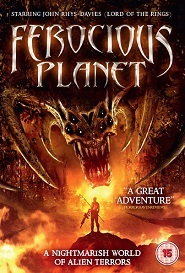 As the remains of a blazing asteroid travels across the universe, six adventures are uncovered which herald danger at every turn. Starring (Scott Adkins, The Bourne Ultimatum, Zero Dark Thirty), Michael Jai White (The Dark Knight), Michelle Lee (Pacific Rim, The Pirates of the Caribbean series) and John Rhys-Davies (The Lord of the Rings trilogy), The Metal Hurlant heroes are back. 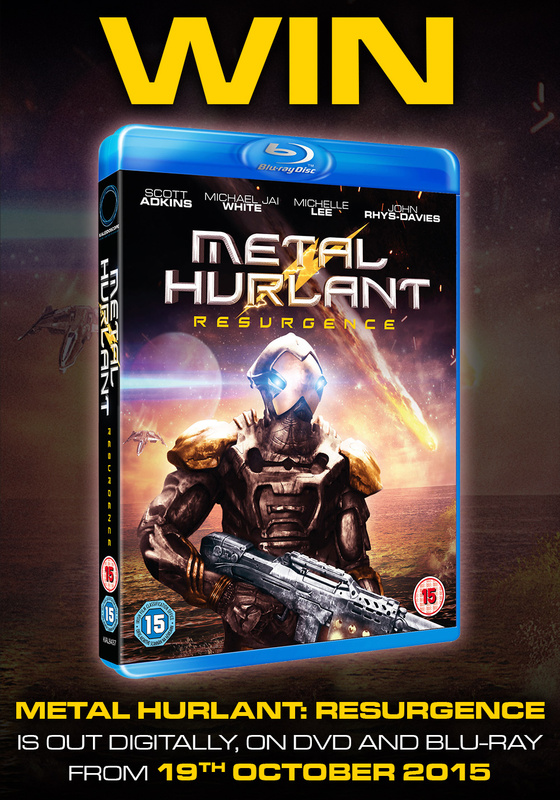 Metal Hurlant: Resurgence is available on Digital, DVD and Blu-ray from October 19th. To support the release we have a copy on Blu-ray to give away!